Customer support is our number one priority. We have compiled a list of frequently ask questions below. If you have further questions, you can always contact us directly throught phone or email..
OneTranslator.com is a prepaid, on-demand interpretation service. OneTranslator is ideal for personal or business use. Will I ever get a busy signal when I call the OneTranslator.com Access Number? No, you will not get a busy signal when you call the OneTranslator.com Access Number. We have a state-of-the-art digital switching system that will recognize your phone and automatically gives you a dial tone whenever you call. No, with OneTranslator.com there are no PINS and no hassles in placing a call. When you dial the OneTranslator.com access number our system recognizes that you are a registered customer and automatically provides access. Please contact our Customer Support Team at Support@OneTranslator.com or 1-800-710-8494 whenever you have questions or experience difficulty. Can I use the OneTranslator.com Service from a prepaid phone? Yes. You can use OneTranslator.com from any phone or carrier from within the U.S. Global access numbers are also provided if you are in certain countries. View the global access numbers if you need to call from another country. What are some tips to improve my OneTranslator calls? After you are connected, give the interpreter your name and the non-English speakers name. The interpreter is only allowed to give you their name. No. OneTranslator.com offers the lowest rates regardless of your usage level. Yes, with OneTranslator.com you dial the toll free access number and then enter a 13 digit pin number. You can enjoy the same low international calling rates from your home phone. No, OneTranslator.com does not have any connection fees associated with this product. You may click on the "Sign Up" link located in the top right of your screen, or click here to signup to OneTranslator.com. All new orders must come through the web site, unless it is a corporate order. Does OneTranslator.com work with all mobile Carriers? Yes, you can always change or update your account information by logging into OneTranslator.com or by calling our Customer Service at 1-800-710-84947. OneTranslator.com is billed in one minute increments. You have the option of choosing Automatic or manual recharging on your OneTranslator Account. Auto Recharge is our convenient service that ensures you never run out of minutes on your account. By enabling Auto Recharge, your account will automatically be credited, via your credit card, when your balance falls below a preset recharge level. You can turn automatic recharging 'ON' or 'OFF' at anytime, and as frequent as you would like. For example: If your "recharge level" is set to $20.00 and your "recharge amount" is set to $30.00, here is what would occur. When your current balance falls below $20.00, we will automatically add $30.00 to your account. 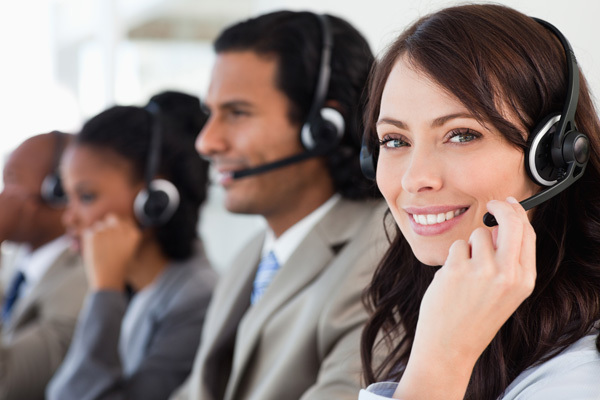 You may contact our billing department or call our Customer Support Team at 1-800-710-8494 to assist you with any billing issues that you may have. Please fill out the refund request form, and a customer service representative will assist you. Can I use OneTranslator.com from anywhere in the US? You can use OneTranslator.com anytime and anyplace you are able to connect with the OneTranslator.com Access Number. Can I use OneTranslator.com when I am outside of the US? All OneTranslator.com plans can also be used in over 40+ countries. View the global access numbers if you need to call from another country. Can I use OneTranslator.com from any phone I want? You can use OneTranslator.com from any phone. If you have registered your phone with us you can dial the access number and place your call. If you have not registered your number dial the access number, enter your pin number, and place your call. A roommate (or another member from same household) wants to sign-up to OneTranslator.com under a new account. They would still be able to utilize the 'pinless dialing' feature, because all they need to do is enter their security code to distinguish themselves from their roommate.